Oh my word, that looks so good. 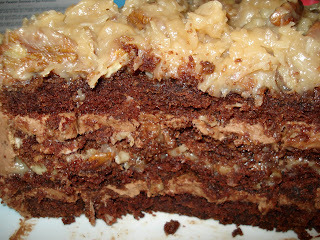 I am salivating and gaining weight just thinking about it! Next time you are here, I expect you to spend a day with me in my kitchen. I love to cook, but you make things way more complicated than I dare to. Sounds like a date! I can't wait! Seriously, i am with your friend! anyways, i would LOVE to pick your brain one week or something see you cook and bake, you are awesome! 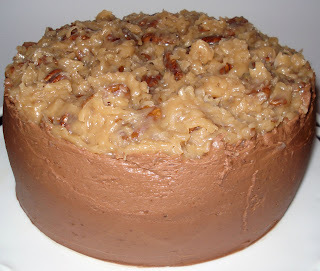 and, ooh my mom's fav is german chocolate cake. SO, in my family birthdays were a big deal. 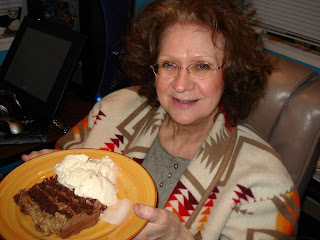 Kirk's family, IF they call you or tell you happy bday within the same month, you are pretty special! and, so, i am WORRIED with living with kirk, that, that is how it is going! NOT going to happen, birthdays will be big deals again!